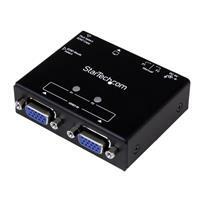 The ST122VGA 2-Port VGA Auto Switcher lets you share a display between two computers and automatically switch to the active source device using configurable priority switching. 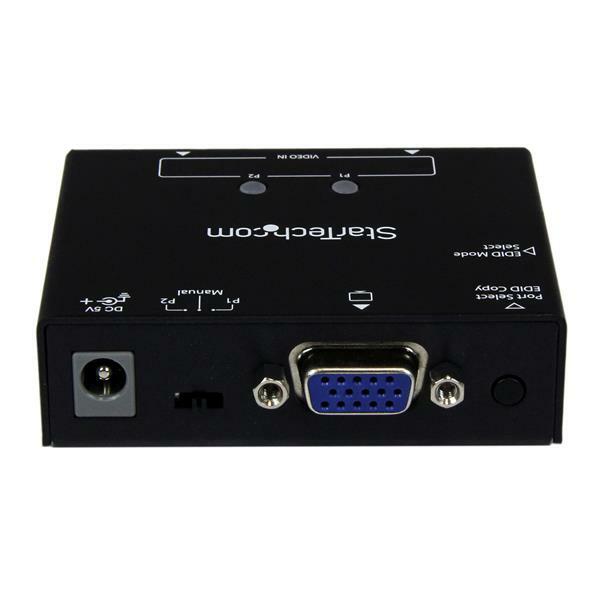 When the port you have selected as the primary input is turned off, the device automatically switches to the secondary input. 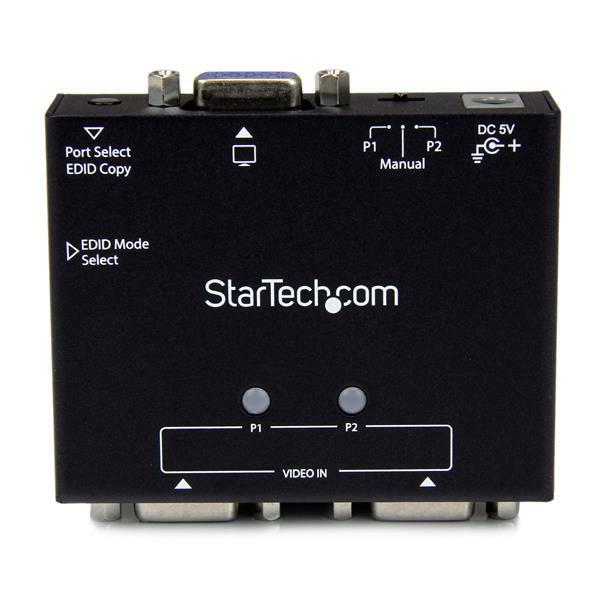 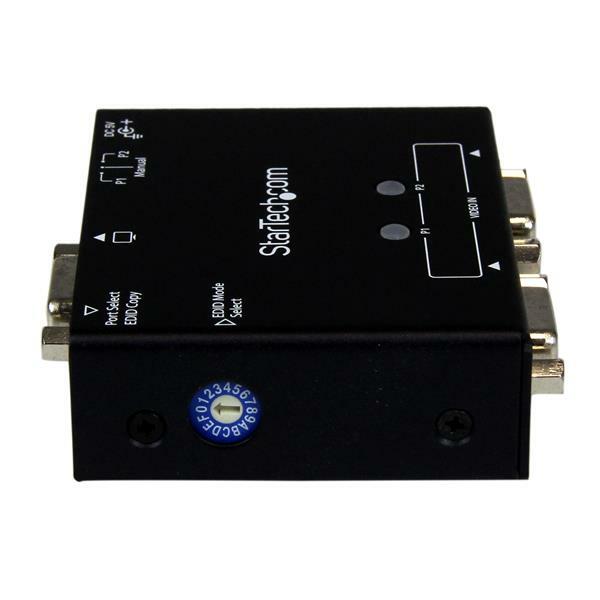 For maximum control and versatility, the ST122VGA also offers manual switch control with an easy-to-use button that allows you to toggle between video sources. 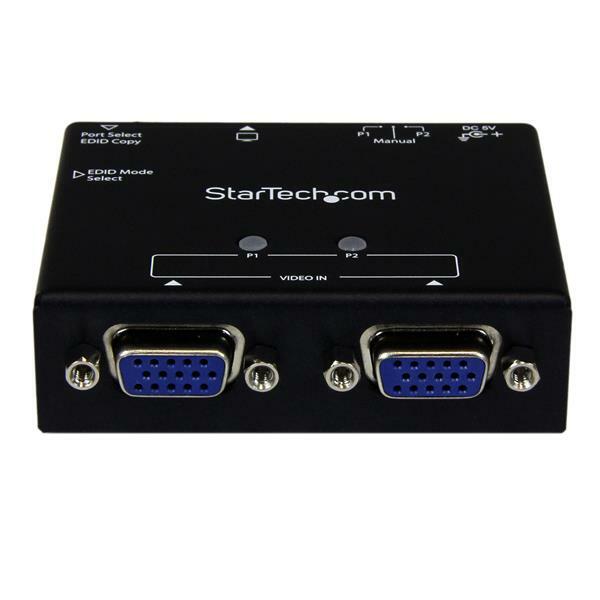 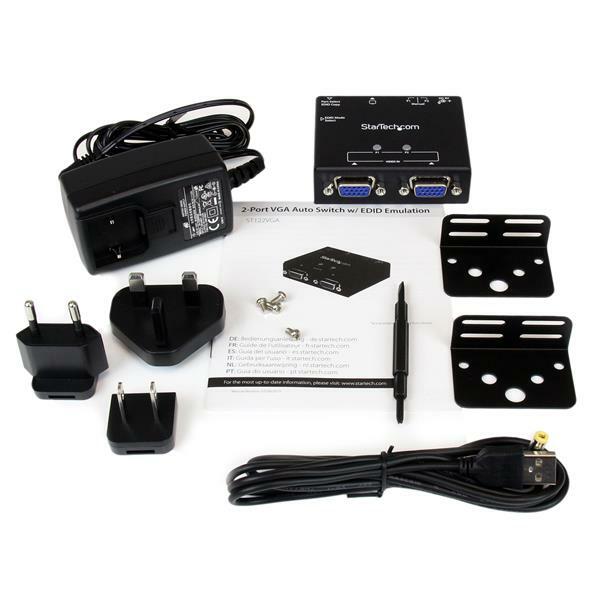 The ST122VGA includes mounting hardware for a tidy and professional installation, and is TAA compliant and backed by a 2-year StarTech.com warranty, and free lifetime technical support.